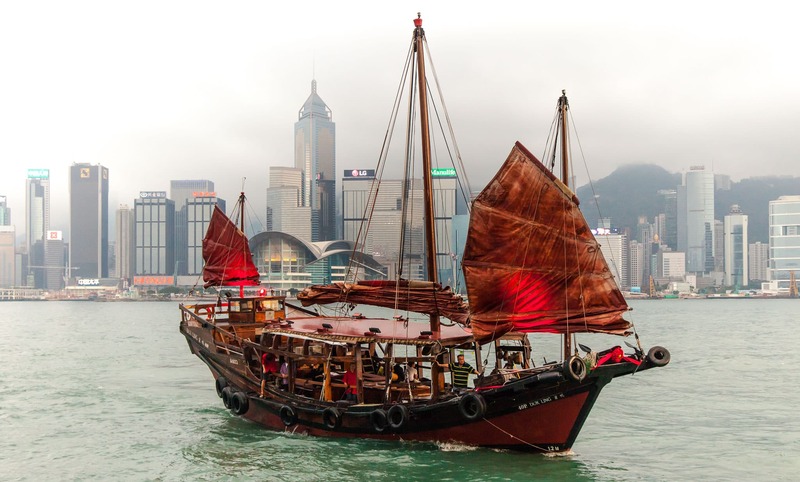 A couple of weeks ago I finally got to visit Hong Kong and the team at Travelex set me a mission, discover the sights, sounds and buzz of this special region… but on a budget! Budget travel is not about saving every penny to me, it’s about getting the best experience at the best price. Luxury for less was the aim and with my trusty new iPhone 6 I set out to capture a 30-second clip of what this city had to offer. Think sunset cocktail cruises, rooftop bars, three-course dinners with the best views of the city and street food picnics all for under $100… I know right! I was expecting Hong Kong to be mega expensive, but luckily there are heaps of top experience here you can enjoy without splashing the cash. ‘The Peak’ offers an incredible view of the Hong Kong city skyline. To get to the peak you can either hop on board the vintage tram which regularly runs up and down or save yourself the cash and hike up to the top. Grab yourself some street food and enjoy a lavishly cheap picnic with the best views of the city. I headed to the peak both by morning and night and by miles the view were best at night. 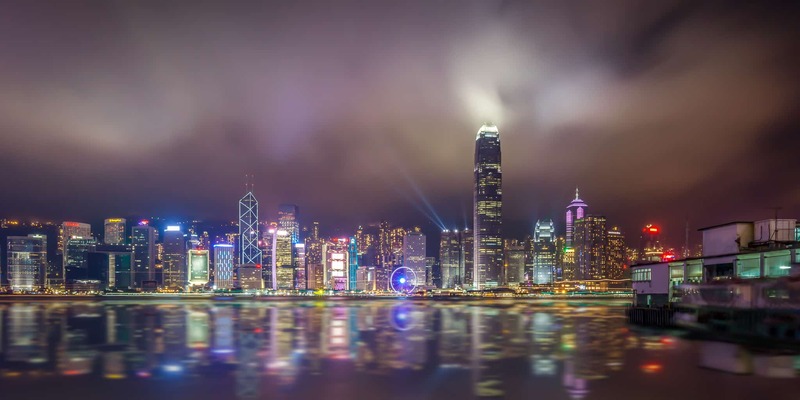 Hong Kong is one of those cities that comes to life after dark. For a slightly better vantage point, you can pay to access the Sky Deck. I didn’t as I think the views are pretty epic without the extra expense. After reading a few Hong Kong food guides, I knew that coming to this city and skipping on the street food would be a sin, especially when it came to Dim Sum. 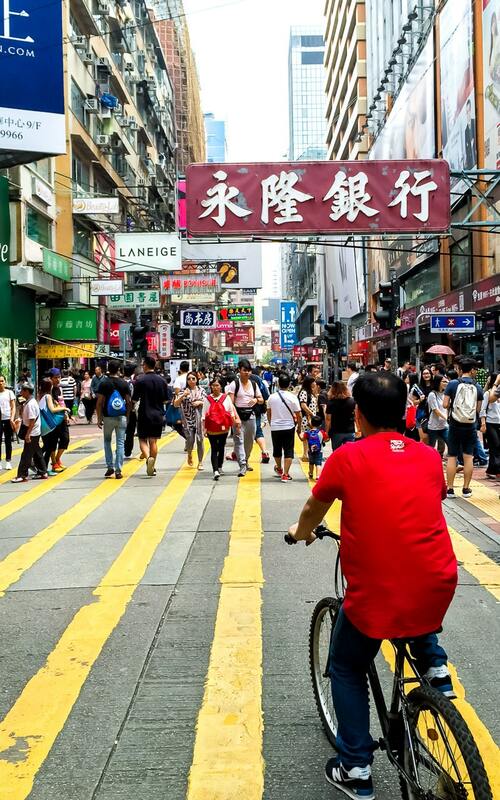 Though the city is scattered with incredible eats at cheap prices some of the most popular spots and markets include Kowloon Market (great for fresh fruits) and my favourite, Sham Shui Po which has a more gritty and local vibe to it. 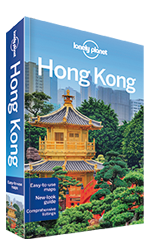 Grab the print or e-book before you travel to Hong Kong. 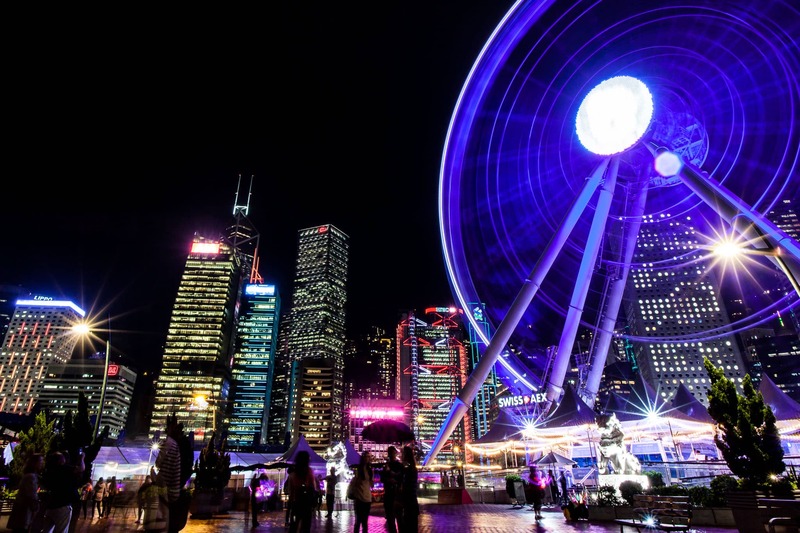 Hong Kong has its fair share of museums and though it isn’t as famed for its art collections as many other mega-cities if you are after a dose of art or culture the weekly museum pass is a steal gaining you access to 5 of the biggest ones in the city. The Hong Kong museum of Art offers up a fascinating collection of Chinese pieces dating back through the centuries which you are unlikely to find in most locations. 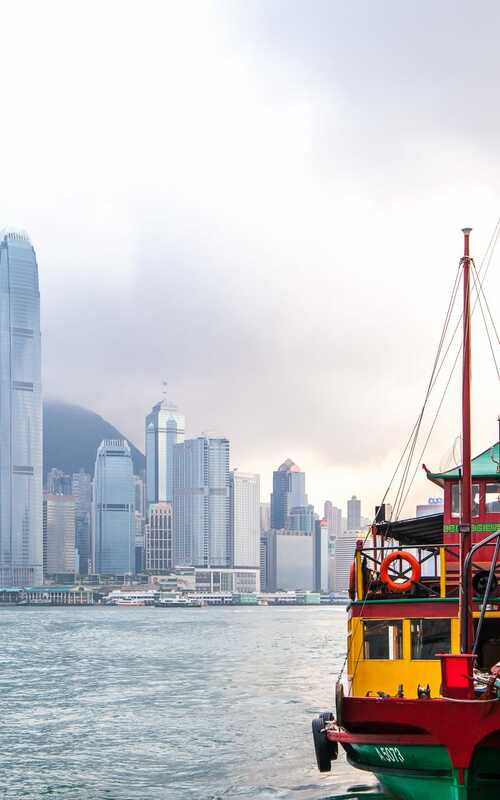 Victoria Harbour is one of Hong Kongs most famous attractions. By day, you can wander the avenue of stars (currently closed for refurbishment) which is dedicated to some of the region’s most famous or hop on the cheap Star Ferry to cross over to Hong Kong island with a waterway view. By night the free ‘Symphony of Light’ show draws in the crowds as a whole host of buildings on the island side light up and lasers shower the city in light. The legendary neon signs of Hong Kong are slowly disappearing but these bright lights still make the streets stand out. Shopping in this city can range from expensive malls to bartering at street markets. Just hunt down the lights and get ready to shop. Two of the most famous streets for market shopping are Temple Street Night Market which is by far one of the most touristy (and buzzing) where you can stock up on clothes, antiques and electronics or Ladies Market which are more Chinese in feel and stocks a huge selection of clothes for both ladies and guys. There a whole tonne of Temples to take your pick from throughout Hong Kong. Lantau Island and the Big Buddha may be the most famous but I didn’t have time to hit it up on this visit. 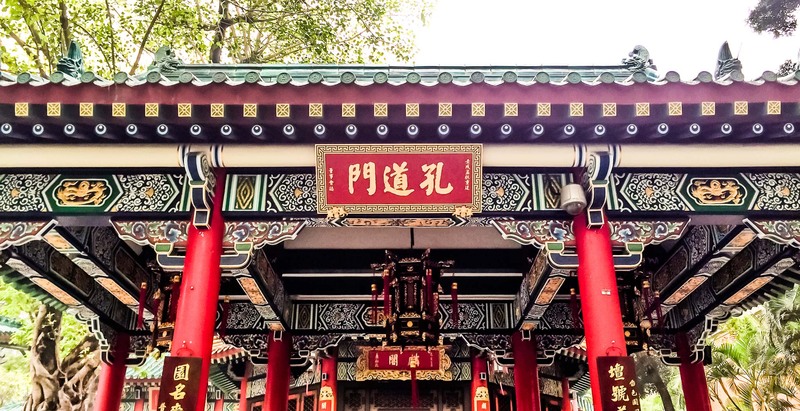 I did take the MRT to Wong Tai Sin Temple which had an incredibly spiritual feel to it even with the mix of praying locals and tourists. As an added bonus there is some peaceful garden to enjoy here and it is a great starting point to take a hike to another famous viewpoint, Lion’s rock. When you think of cities like Hong Kong, beautiful beaches are not the first thing that springs to mind. Whilst I skipped this tip due to rain/time each of the outlying Islands which are a short ferry ride away can provide something different. This list of the best beaches in Hong Kong is well worth checking out if you have the time to pack some sand and waves into your visit. Heading back to Victoria Harbour to grab an evening boat cruise is something I can’t recommend enough. You can either go for sunset, the Symphony of Lights or after dark for dinner. I went with Aqua Luna for the sunset cruise which has the added bonus of being on a converted traditional Junk Boat. Throw in a free drink and you have a beautiful hour of sunset and sipping as the high rises bright lights start to shine through the darkness of the mountainous backdrop. The highest bar in the world sits atop of Ritz Carlton, with incredible views looking down onto the city below. Cocktails can be pricey here but you are paying for the view. If you are after dinner however not all restaurants on rooftops cost a bomb. I ate at Hooray Bar & Restaurant in Causeway Bay which had some great views of central and lunch menus started from $88 or dinner mains at $188. Hong Kong, with its limited space and rising population, has a whole heap of housing estates towering into the air. 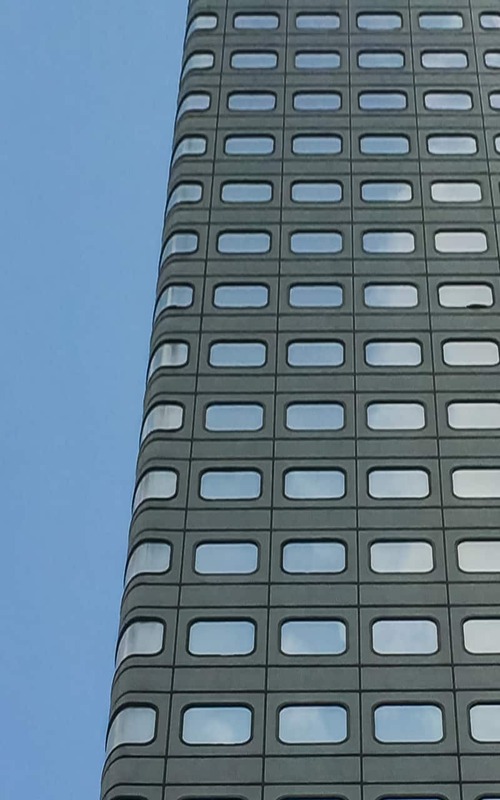 On first glance, you might label them ugly but if you take a deeper look there is plenty of patterns, symmetry and beauty to be found in these high rises. Take a trip on the metro and find some unique angles to capture the city from and you’ll also discover heaps of local hangouts to enjoy food and atmosphere for less. 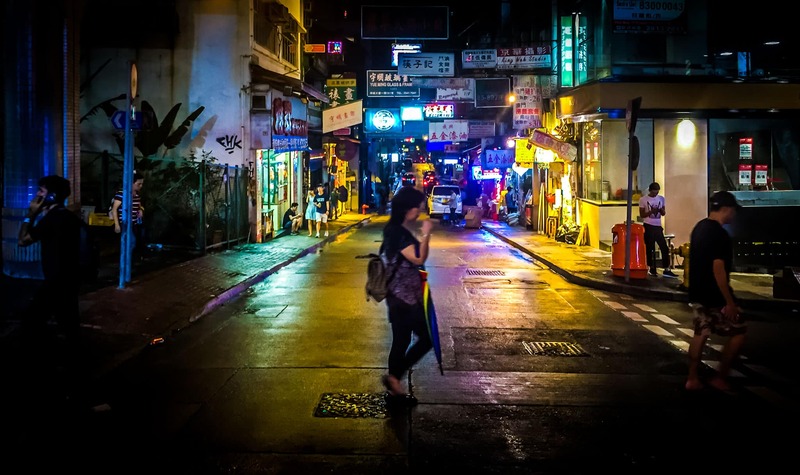 If this all sounds a little hectic for a short stopover, my friend Erika wrote up everything she managed to cram into her 24 hour Hong Kong Layover. So if you only have one day here take a look. 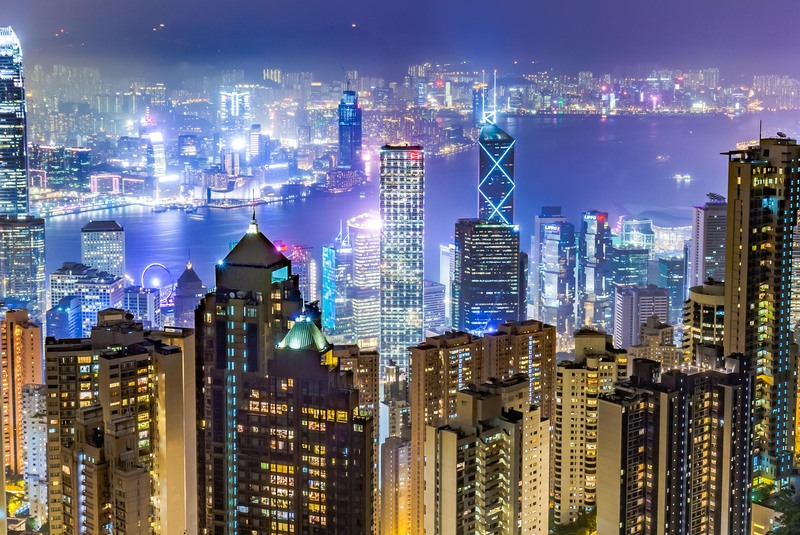 Fly in with… Hong Kong has heaps of budget airlines serving it but if you are a OneWorld points collector you can get some great bargains with Cathay Pacific. I took a return flight from Bali (5 hours) using points and it was 21GBP on top. Check into… Accommodation can be pricey, but if you want to be pretty centrally located then you might want to check out Bishop Lei International where I stayed. Three nights on a Booking.com deal price came in at 150 GBP but for a private room, rooftop pool and a few steps from the bars and action of Lan Kwai Fong I thought it wasn’t a bad price for a notoriously expensive city. Getting around… Grab yourself an Octopus card which can be used on buses, trains, trams and some ferry services. It can also be used to pay for goods in many shops. Find out more info here. 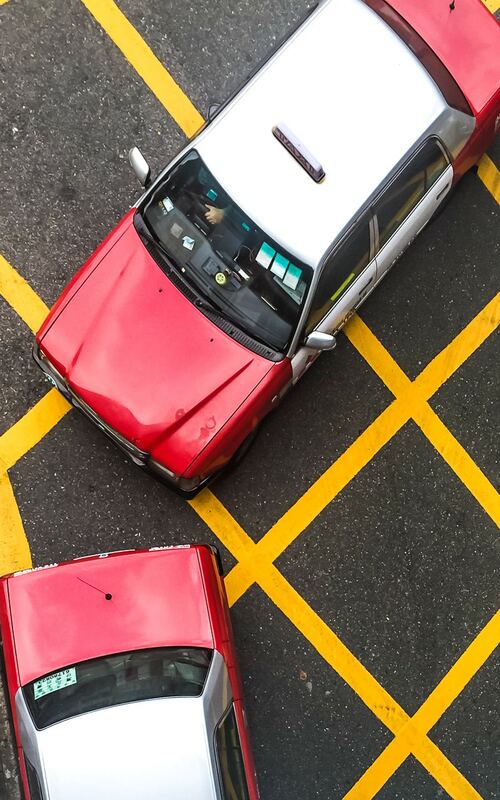 Taxis are also not that expensive at all here (HK$8 – 1km) so may be a better option if you are time short. Can Hong Kong deliver #LuxuryForLess? A big fat yes! Want to find more #LuxuryForLess inspiration? Head over to the Travelex Inspiration Hub to get more tips. This video was produced and sponsored as part of the Travelex #LuxuryForLess campaign but the article and activities taken part in and listed were all of my own choosing. As always, opinions are my own. What are the best places to stay and convenient to visit places using public transportation? Does HK have budget airlines to Taiwan and Seoul? The public transport is very good in HK so you won’t have a problem getting around. And yes, I believe Jetstar and DragonAir (the cheaper arm of Cathay) fly as well as plenty of other local, low-cost airlines I saw when at the airport. Thanks Helena, honestly I thought it was going to be super expensive like Singapore but if I had stayed in a hostel as well it would have been a pretty cheap trip. It’s certainly a lot cheaper than people expect. You are welcome. Safe travels! Have an awesome time – it’s such a buzzing city! Amazing pics and well described! Just one thing: the Peak is not in Victoria Park (which is causeway bay). For the Peak you have to go to Central Station and take a tram (preferably around 8.30am-9am to avoid the terrible queue of tourists). Wish I had read this before I visited Hong Kong! You’re so right though, it definitely comes alive at night! So glad you included the ozone bar at the ritz Carlton, that was definitely a highlight for us despite the pricey cocktails! Hey Ricky – thanks so much for sharing :) Safe travels! What lovely pictures. Nicely written blog. 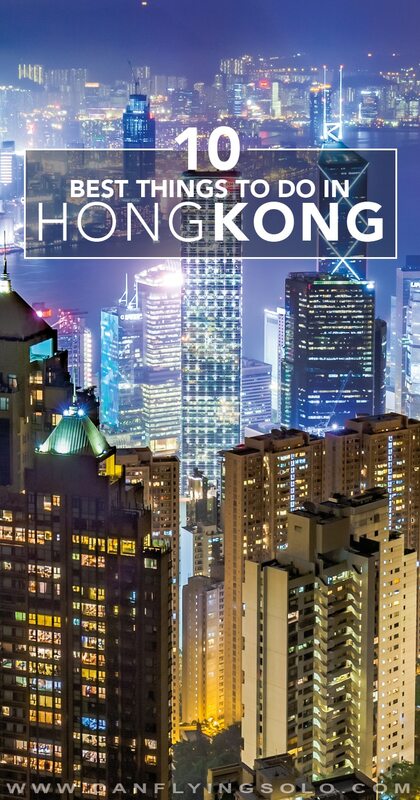 It’s an exhaustive guide for anyone who wants to visit Hong Kong. It is very close to my country India and I hope to make it there someday, especially after reading your blog. So much to do here! 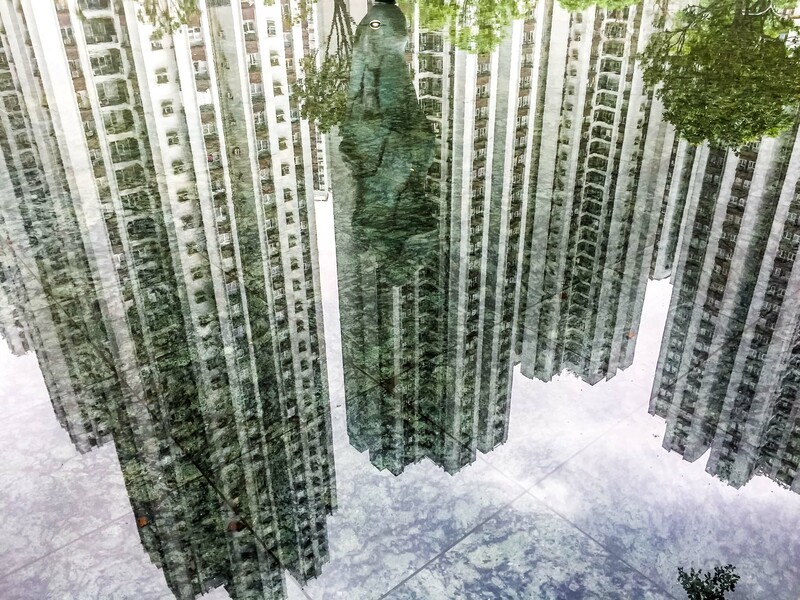 Love your photos Dan, especially the puddle one! I was in HK a few months back and while I found it expensive I definitely think there are ways to do it on the cheap. Thanks for sharing your tips. Love the views that you found there! Those are probably the first places I’d go. Good to know that some come at a price though. Thanks for sharing! It really is a stunning sky line from up the top, and its free :) Safe travels. 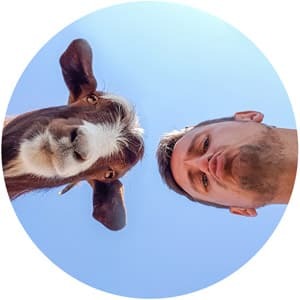 Wow, I absolutely love your pictures! Hong Kong has lately sneaked on my list of cities to see when I travel east and this confirms it. Do you know which low budget carriers fly from Hong Kong to Bali if I can’t get a connecting flight?? I really hope I’ll have the chance to visit Hong Kong soon! I would also recommend that folks consider taking Bus 15 up to the Peak. Sit on the upper deck in the very front. Great views on the way up and down! Other great options are Chi Lin nunnery (free) and 10,000 Buddahs (also free). Take the star ferry across the harbor. Best HK $3.80 you will spend. As usual, loving your photos!